Helene’s research interests are related to the link between trade liberalization and the environment, and to political economy constraints on (environmental) policies. 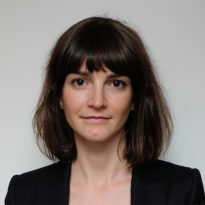 Helene is a research fellow at the CNRS (Centre National de la Recherche Scientifique) and Paris School of Economics. She holds a PhD in Economics from the Ecole Polytechnique in Paris. Before joining the CNRS, Helene was a Ciriacy-Wantrup postodoctoral fellow at the Agricultural and Resource Economics department at UC Berkeley.